Discharge Planning: Assisting patient with obtaining durable medical equipment, financial assistance, home health services including home physical or occupational therapy, hospice, home delivered meals, home safety evaluations and equipment or other community resources. Community Referrals: Providing information to our community regarding services in our area. The Social Work Department has information regarding physician referrals, long-term care and rehabilitation centers, Adult Foster Care, children's special healthcare, specialty clinics, financial and transportation assistance, support groups, mental health and counseling resources, child care and educational programs. Advance Directives: Supporting a patient's right to document their medical treatment wishes and designate another person to make medical treatment decisions on their behalf if they are ever unable to make these decisions. A Social Worker is also available to provide specific instruction and guidance for patients wishing to execute an advance directive. Psychosocial Assessment: Assisting patients and their families with identifying effective coping mechanisms as well as drawing upon personal strengths and resources to best manage the psychosocial aspects of the current illness. Crisis Intervention: Social Workers provide assistance to patients and their families to cope and make decisions in times of medical crisis. 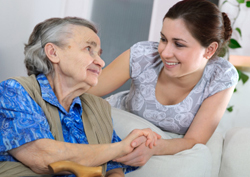 Long Term Care: Social Workers are a vital aspect of the long term care resident's experience. LTC social workers assist residents and families during the adjustment phase, develop psychosocial and behavioral care plans, assist with discharge planning, bereavement issues, act as a liaison between the patient and physician, provide information regarding guardianship and Durable Power of Attorney as well as other community resources.